I’ve been thinking a lot recently about language and our use of it when discussing social issues. 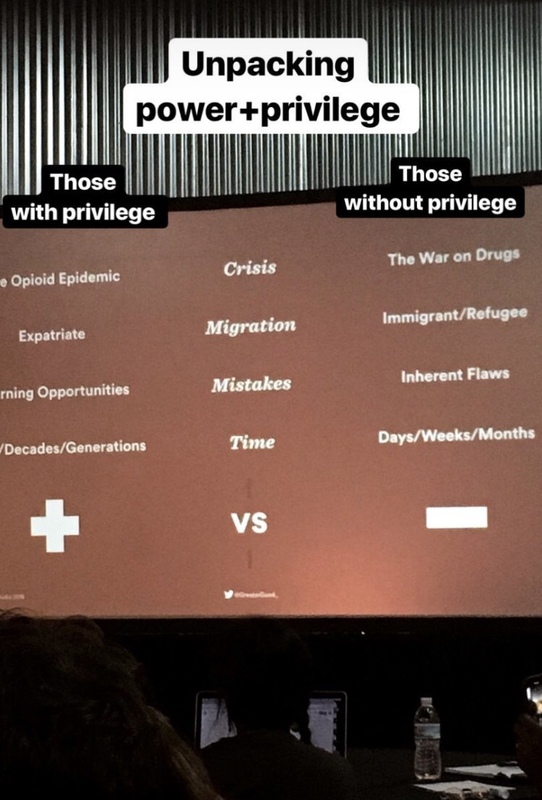 I remember scrolling once on Instagram and coming across a post from the UARK Design account that talked about “redefining opportunity” and unpacking power and privilege. I’ve also been thinking about that since Antionette Carroll came to visit us in Spring 2018. How much does language frame our perceptions of others? Changing how we speak about and to one another can shift how we think about one another which can allow us to become more inclusive of one another. Also, in my Diversity and Inclusion research, I find myself making connections to a Sociology of Race, Gender, and Class in America course that I am in this semester and the first reading we were assigned talked about thinking of diversity as intersectional. It has also taught me about defining diversity and the ways in which social scientists use the concept of diversity. Below are the different types of diversity that Fred L. Pincus discussed in his book Understanding Diversity.